Ever lose your hat in a strong wind? Ever feel the wind pushing you from side to side? Know why you can feel the wind, but never see it? Renowned science author Vicki Cobb makes scientific principles easy for even the youngest kids to understand. Follow this book with a young child who loves to play. Bring along balloons. Find a windy place. Together you’ll face the wind and see that learning is a breeze. Discover science, and the world will never look the same. Great hands-on activities and irresistible illustrations by Julia Gorton make Science Play a perfect way to learn about science . . . just for the fun of it! 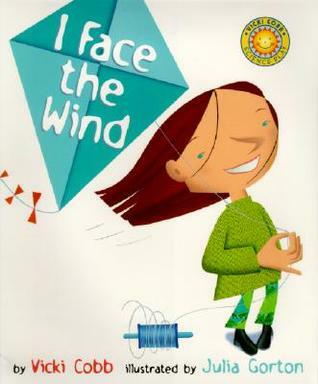 After reading this book in our playgroup; we took the kiddos outside and we played with Pinwheels and blew bubbles. This entry was posted in Education and tagged bubbles, mommy and me, pinwheels, Playgroup, science, wind. Bookmark the permalink.